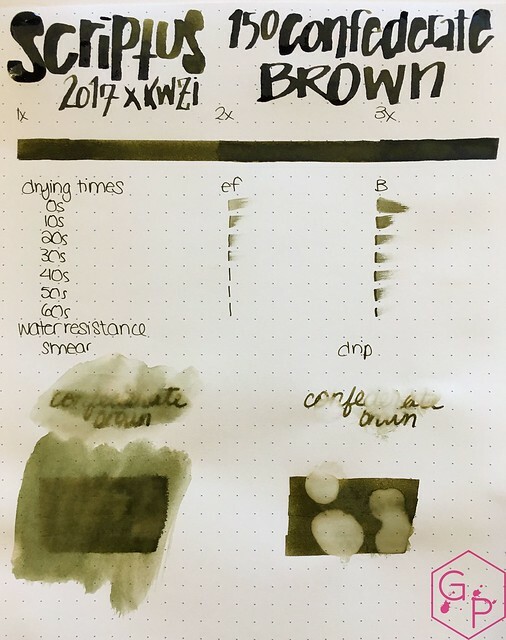 Last year, I reviewed the KWZI Northern Twilights for the Scriptus Toronto 2016 show, and this year we have another intriguing and rather wonderful ink made exclusively for the show by KWZI! 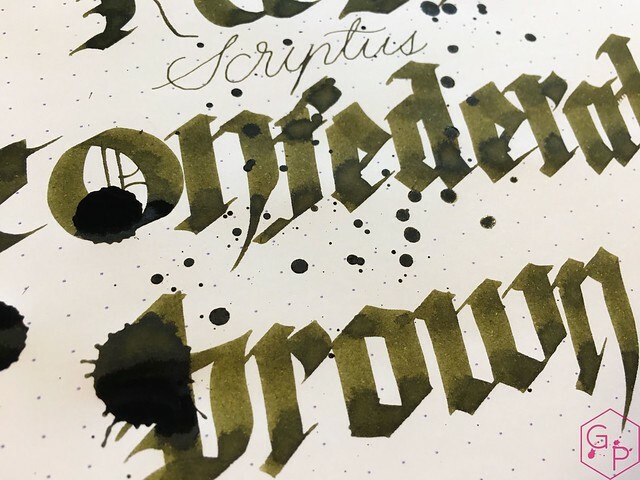 The Scriptus Pen Show in Toronto takes place this year on October 29, 2017 from 10 am - 4 pm. 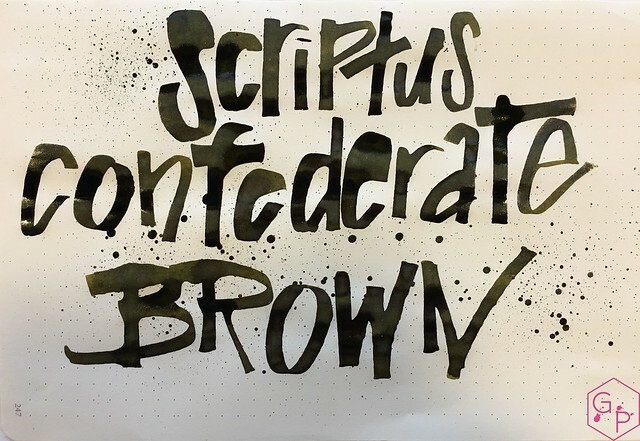 More information can be found on the Scriptus site! 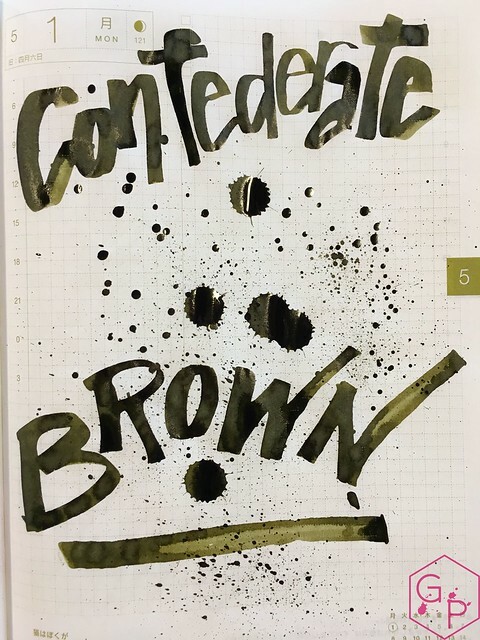 What the heck is 150 Confederation Brown? 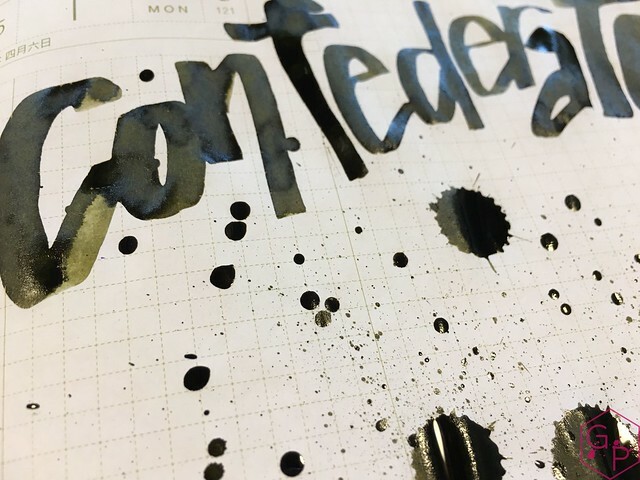 Confederation is a long word to write and I could not fit it on my pages properly, so you'll have to suffer my Confederate Brown writings. Ignoring that, 2017 is the 150th year of Canada's confederation. 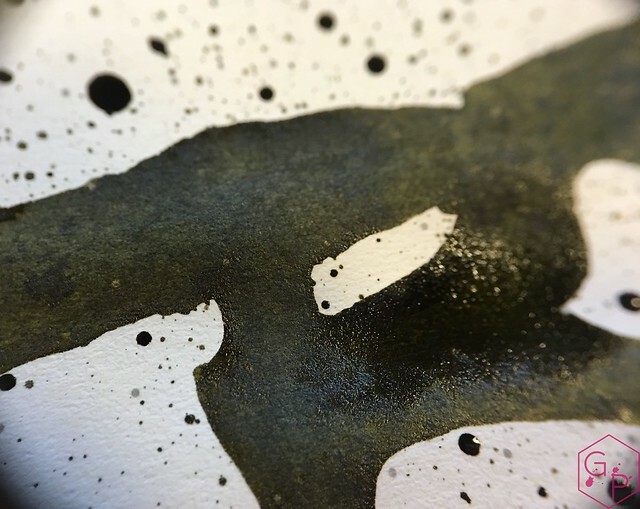 Why am I torturing you with an ink you can only get at the Scriptus Toronto pen show? Well to convince you to attend, obviously. 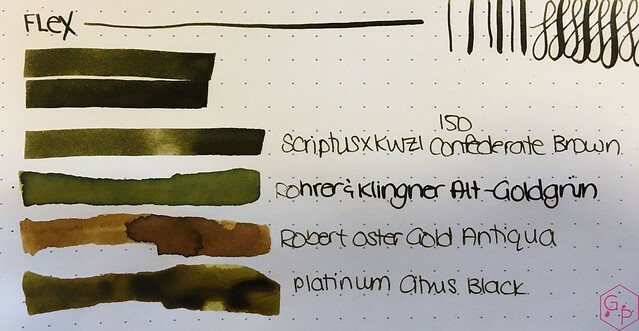 What a stellar, strange, unique, and complex color! Wow. 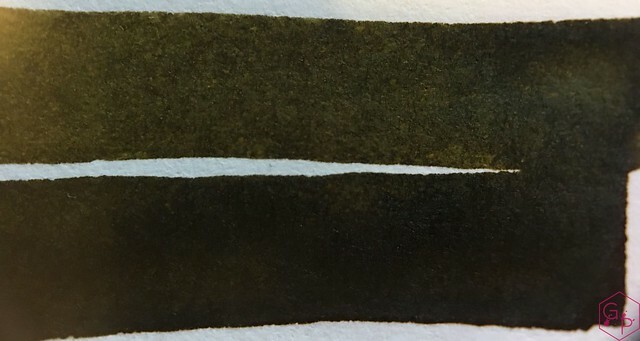 Appears to have different tones depending on the paper and depending on what other colors surround it - ranges from olive green, brown, golden green, and more. 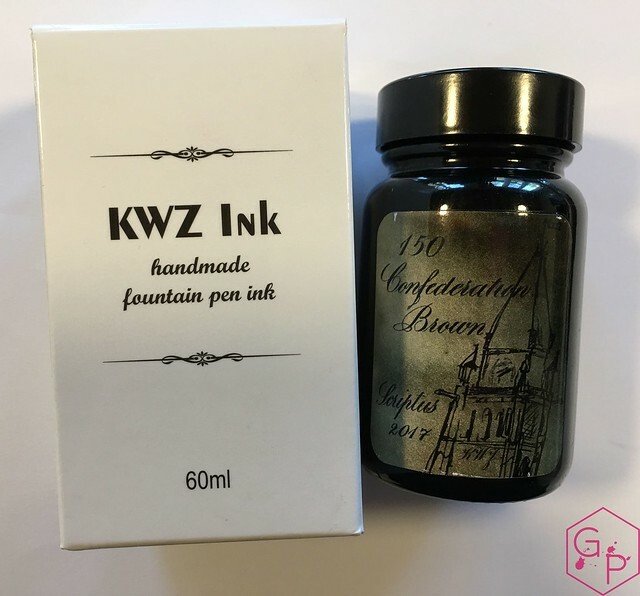 Stunning with as an ink wash.
Great label with hand and artwork by Alannah/IAmJoopiter - the skilled daughter of BauerInks.ca - and calligraphy by Salman Khattak. 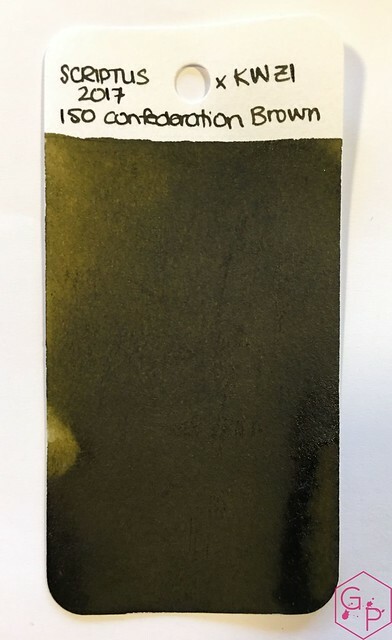 Bottle is tinted to save your ink from UV. It also comes in a box. 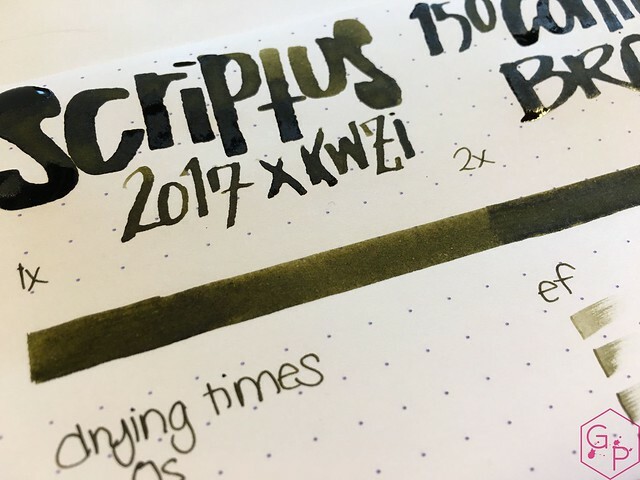 Your purchase and attendance at the Scriptus Pen Show helps support the current show and the future of it as well! Exclusive to the Scriptus Toronto Pen Show for 2017 - in limited quantities. 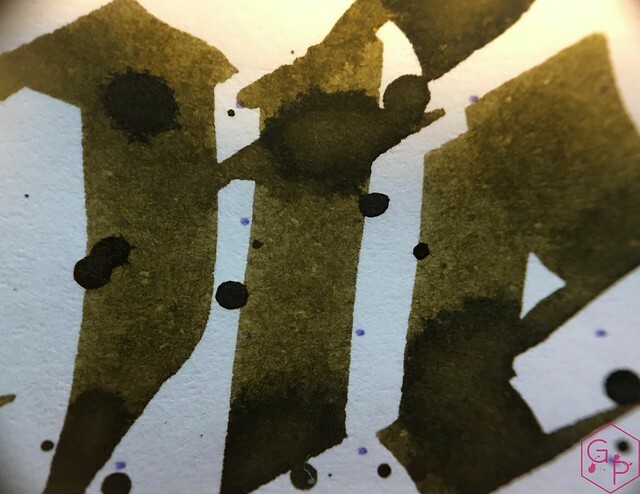 If you use the ink in a very wet application, it won't dry. 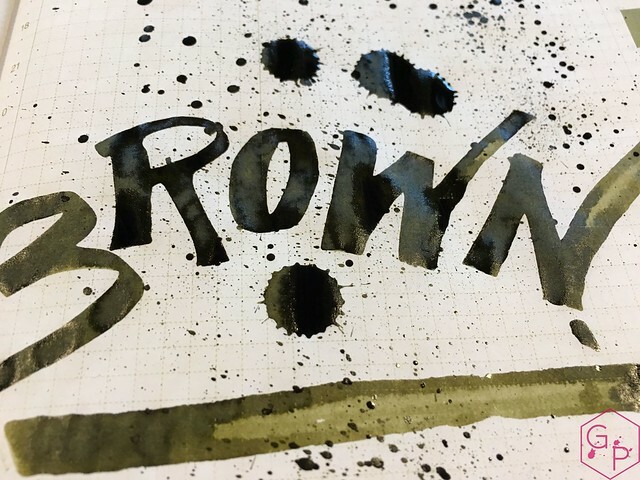 The areas that would otherwise show sheen remain wet and smudgy, but only under very generous applications. 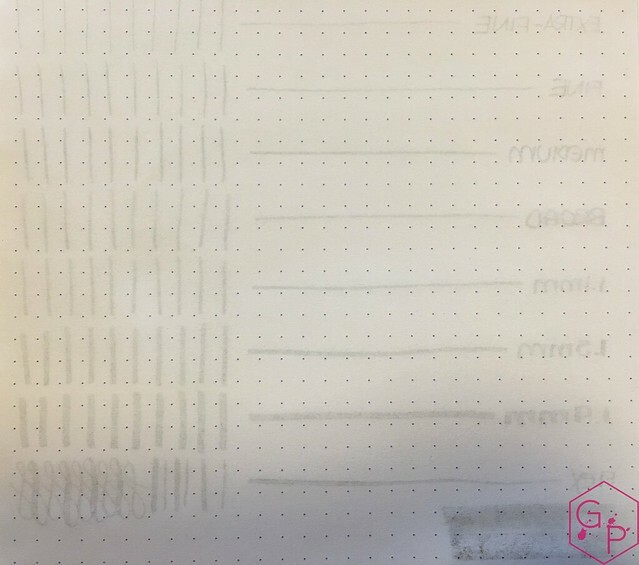 With regular use, this isn't an issue. 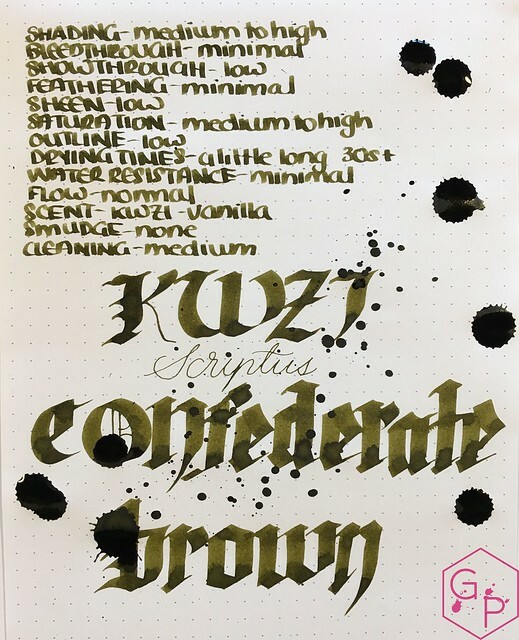 KWZI inks have a particular smell - some describe it as vanilla. Myself, I do not like it at all. I suffer the smell for the joy of their colors. Fortunately, the smell does not linger, but I feel I must warn you in the event that you find smelly inks off putting. 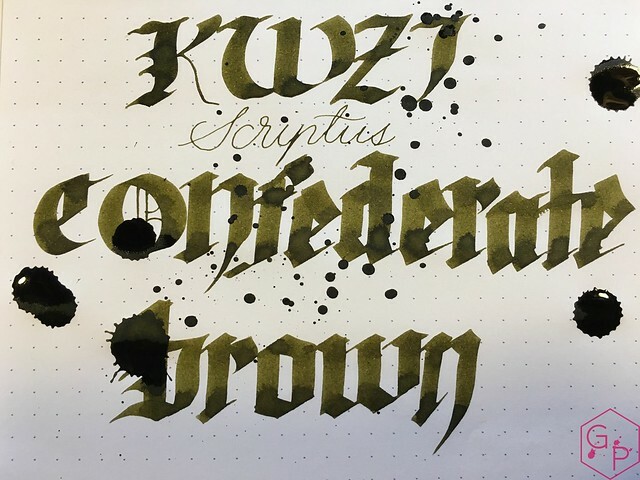 Scriptus has launched three exclusive pen show inks in recent years, all produced by KWZI, including this year's. Every single one has been gorgeous, and this one is no exception. 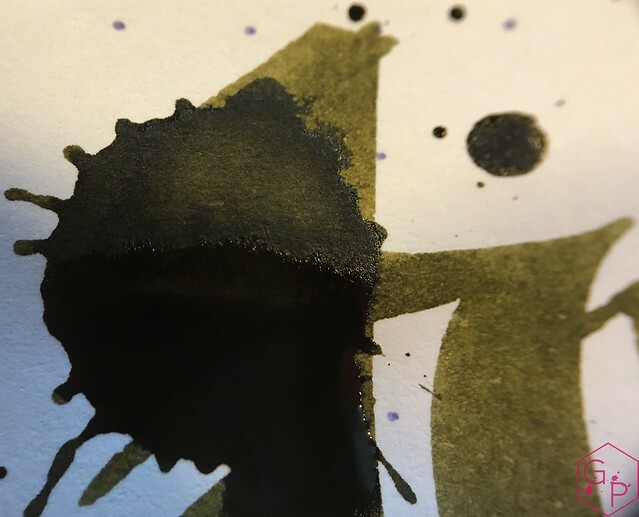 This is the sort of complex, strange color I expect to see from Kingdom Note in Japan - a totally non-mainstream color with wild shades and tones. I love it. It's crazy and cool.